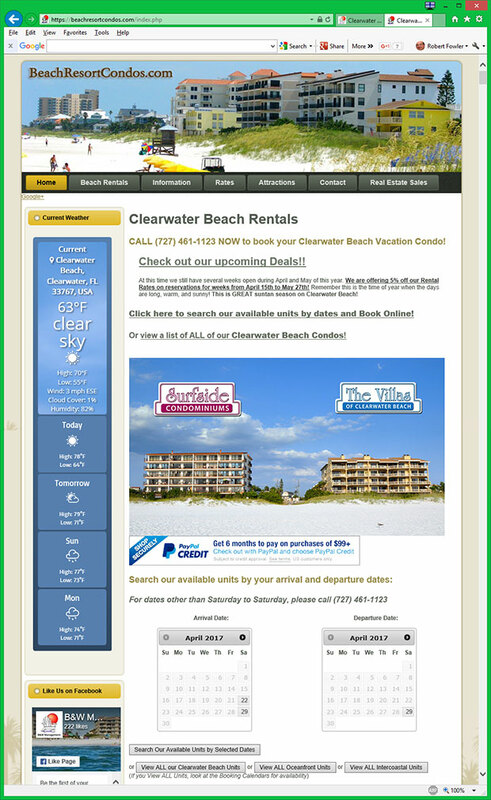 Clearwater Beach continues to win awards! Clearwater Beach, Florida has been listed as 2018’s Best Beach in the United States, the second Best Spring Break Beach in America, and the 7th Best Beach in the World! Clearwater Beach continues to be recognized for its family-friendly atmosphere, fun festivals throughout the year, soft sand and beautiful sunsets! In my opinion, you can’t beat a Clearwater Beach Sunset and I’m not alone in believing that. Clearwater Beach has even been ranked as one of the Best Sunset Spots in America. There’s not a bad area to watch a Clearwater Beach sunset, but I do have some favorite locations. My first choice is directly on the beach. I love sitting in the soft sand and feeling the calm waves wash over my feet as I watch the sun slowly dip into the ocean. My favorite beach location is right in front of Surfside Condominiums and the Villas of Clearwater Beach on the north side of Clearwater Beach. The north side of Clearwater Beach is less crowded and much quieter. It makes the beautiful sunsets even more relaxing to watch. Not only is this area of the beach more peaceful, but it also directly in front of the best Clearwater Beach Vacation Rentals making it an extremely short walk to and from the beach. The balconies at Surfside Condominiums and the Villas of Clearwater Beach look directly over Clearwater Beach and provide amazing views of the beautiful sunsets. Not only do these balconies provide a beautiful view, but you also have the opportunity to enjoy a glass of wine, cold beer or sunset cocktail while enjoying the Clearwater Beach Sunset. Depending on the time of year, sunset may fall directly during dinner time. Don’t worry, there are many restaurants in the area with beautiful sunset views. Frenchy’s Rockaway Grill and Palm Pavillion are both delicious and are just a short walk down the beach from Surfside Condominiums and the Villas of Clearwater Beach. Both of these restaurants often feature live music, but always have beautiful sunsets. Jimmy’s Fish House & Iguana Bar is located on South side of Clearwater Beach. While it isn’t directly on the beach, it still offers one of the best Clearwater Beach Sunset views. Jimmy’s Fish House offers an outside patio directly on the water of Clearwater Pass, leaving you with amazing views of sunset and a chance to watch boats passing by… you may even see a Pirate Ship! If you’re looking for sunset drinks and maybe a few snacks, check out Jimmy’s Crow’s Nest. Jimmy’s Crow’s Nest is located on the 10th floor of Pier House 60 Marina Hotel and offers a great view over the Clearwater Beach Marina and Pier 60. The view is beautiful all day long, but it’s especially a great place to watch Sunset and look over Clearwater Beach at night. Beautiful sunsets are worth celebrating, and Clearwater Beach hosts a Sunset Festival at Pier 60 every night, all year long! The Pier 60 Sunset Festival features artisans, crafters, street performers, and of course beautiful views of the Clearwater Beach Sunset. The Pier 60 Sunset Festival starts two hours before sunset and remains open until two hours after sunset. Pier 60 also offers outdoor movies at the Sunset Cinema – the schedule for what movies are showing can be found on the Sunset Cinema at Pier 60 website.